Kimberly Stuart, in an effort to condone the time and money spent, would like you to know she holds degrees from St. Olaf College and the University of Iowa. She learned lots of interesting things at these fine institutions, none of which prepared her for the lethal cocktail of parenthood and writing. Stuart is the author of five published novels, including the Heidi Elliott series, Act Two, Stretch Marks, Operation Bonnet and a sixth, Sugar, set to release February 2017. She is a frequent public speaker and is passionate about helping others live great stories. Find out more about Kimberly here. 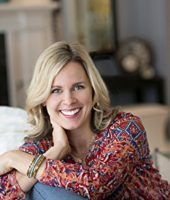 Discover books by Kimberly Stuart.